Spotting the Super Blood Moon ! Last night I decided to watch the beautiful moon eclipse. The weather was clear in Toulouse (France) so I tried to photograph it with my Nikon Coolpix L820. Finally : the real blood moon ! It was very pleasant to watch and also poetic. What we could see was the shadow of our Mother Earth : our own shadow projected thousands of kilometers away. 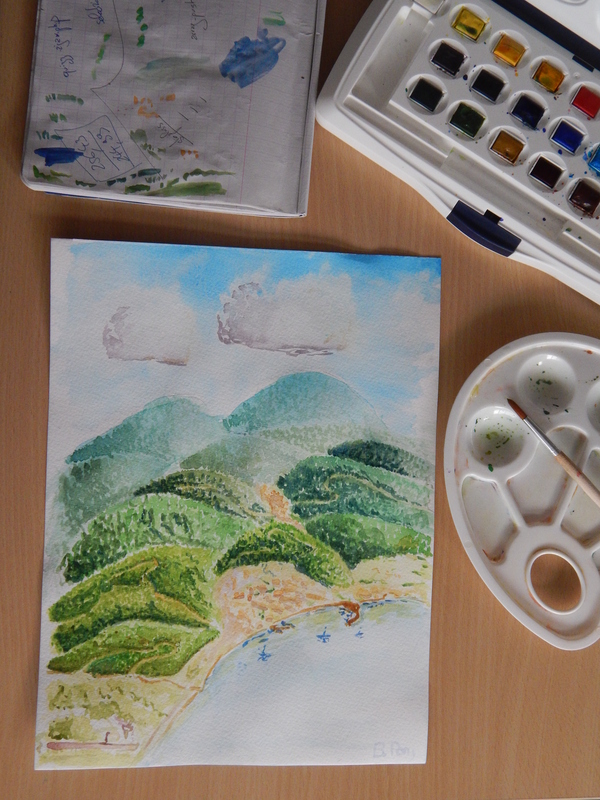 And here comes a new watercolor that I did today inspired from the Côté d’Azur (but it’s not meant to represent a specific place).